HopStop users are mourning the demise of the go-to transit app. Apple bought HopStop in 2013, and come October it will shut it down. But HopStop's technology is already fueling Apple's plan to overhaul its maps, which severely lag behind the competition. Analysts say mapping is a priority the company must get right to successfully develop autonomous cars. "They're not trying to become the better Google for consumers, they have a different plan for this ... which is looking more into the future," said Annette Zimmermann, research director at Gartner Research. "You need maps to have a self-driving car." In a recent report, Jeffries predicted that Apple could introduce an electric car as soon as 2019. Apple has a long way to go before it's positioned as a firm with superior mapping capabilities. After all, it's still hard to forget Apple's troubled Maps release in 2012. "The company has been playing catchup ever since," said PrivCo analyst Chris Pisarski. "This has resulted in a more urgent and aggressive M&A strategy." Apple has purchased 11 map tech companies since 2009, according to data from PrivCo and Mattermark. But the vast majority have taken place in the last two years. 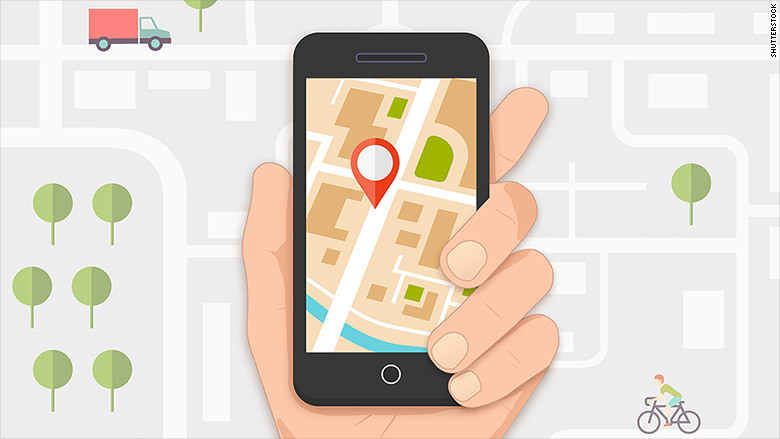 Earlier this month, Apple acquired a small location data company called MapSense for between $25 and $30 million. Apple has been quiet about the terms of its deals -- most prices are undisclosed. But the HopStop price vastly eclipses some of its other deals: Apple bought it for $1.1 billion, according to PrivCo. Zimmermann said Apple's strategy has typically been to acquire startups and then shut them down. This differs from Google. When it bought real-time traffic app Waze for over $1 billion, it remained a standalone service. The approach is similar to how it treated another purchase: YouTube. While Google's mission is to "have as many eyeballs as possible, Apple might be saying, 'I don't need those users. I want that technology,'" said Zimmermann. Apple's latest operating system upgrade improves on its maps -- they now incorporate HopStop-like transit directions. But it still has a ways to go to catch up to the competition. One of the reasons? The maps still aren't accessible for users when they're offline. Google, on the other hand, lets users save maps for offline access. "The bottom line is that Apple maps, in a consumer way, is still not on par with Google and [Nokia's]" added Zimmermann.